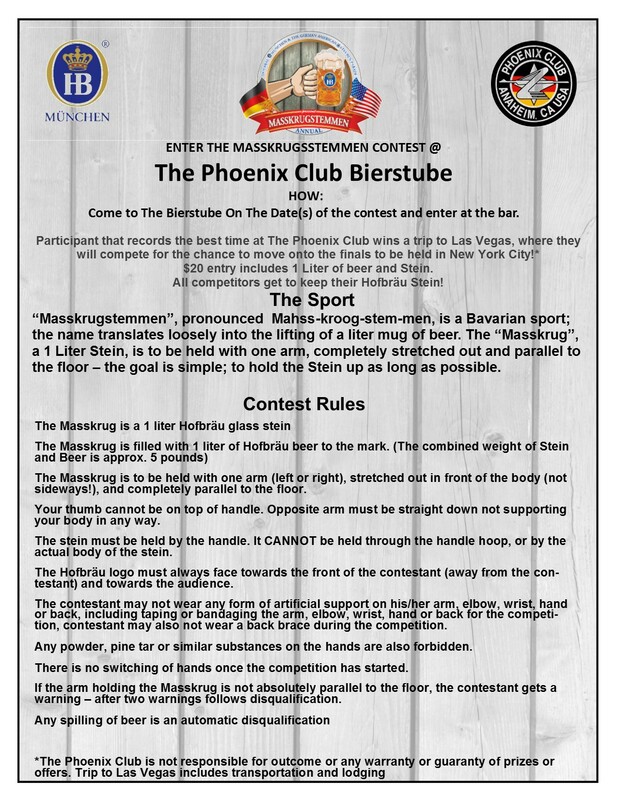 “Masskrugstemmen”, pronounced Mahss-kroog-stem-men, is a Bavarian sport; the name translates loosely into the lifting of a liter mug of beer. The “Masskrug”, a 1 Liter Stein, is to be held with one arm, completely stretched out and parallel to the floor – the goal is simple; to hold the Stein up as long as possible. 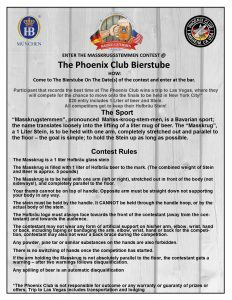 Participant that records the best time at The Phoenix Club wins a trip to Las Vegas, where they will compete for the chance to move onto the finals to be held in New York City! $20 entry includes 1 Liter of beer and stein. All competitors get to keep their Hofbräu Stein!